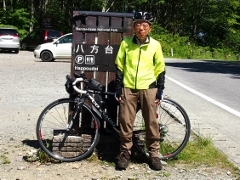 Today I left Nango district of Minamiaizu Town and via Tadami Town I pedaled along Tadami River on National Route 252 and finally arrived at Miyashita Onsen of Mishima Town. Since weather forecast said it would start raining in the afternoon, I started at eight in the morning and went direct to Mishima Town without stop. I arrived just after noon thus before rain started. 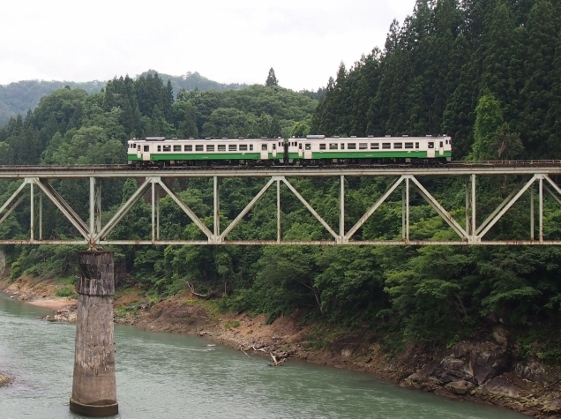 After arriving at Mishima Town I came across with a train of JR Tadami Line bound for Aizuwakamatsu which crossed a railroad bridge over Tadami River as shown in the pictures above. 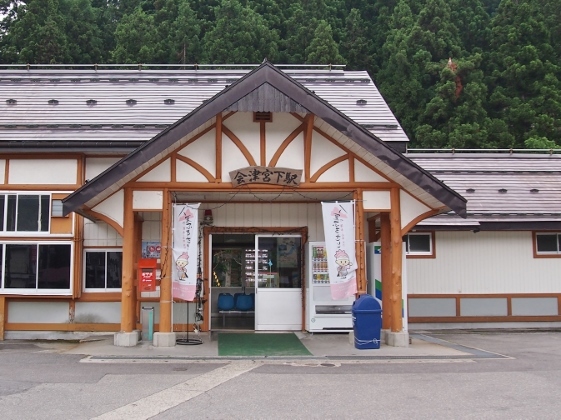 Mishima Town is used to be covered with heavy snow in winter and it has JR Aizumiyashita Station as shown in the pictures above and also Miyashita Onsen near the center of the town. 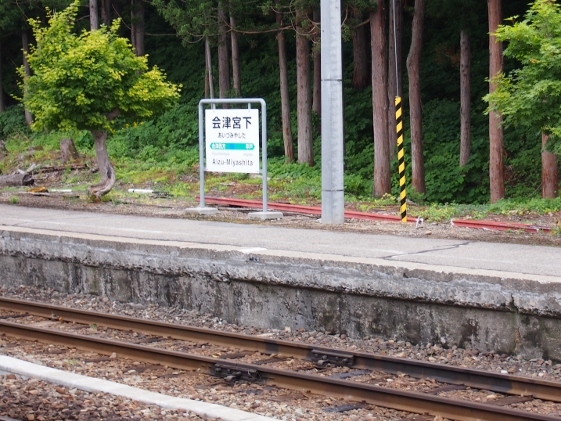 I just met with a passenger train bound for Aizukawaguchi. 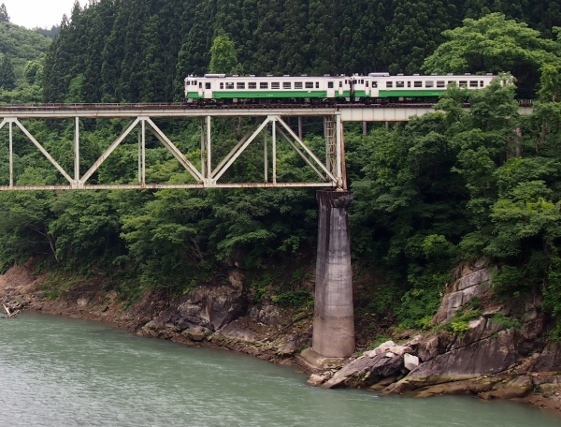 JR Tadami Line had been destroyed in some places such as railroad bridges by the heavy rain disaster two years ago. 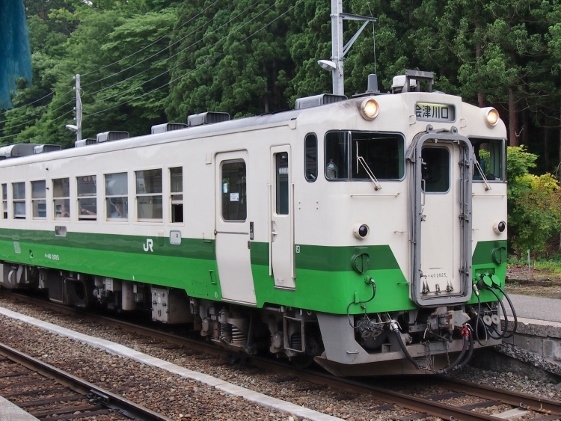 Shuttle bus service replaced the train service between Aizukawaguchi and Tadami stations. A station officer said that restoration work had not yet been started thus no one could tell when the train service would resume. 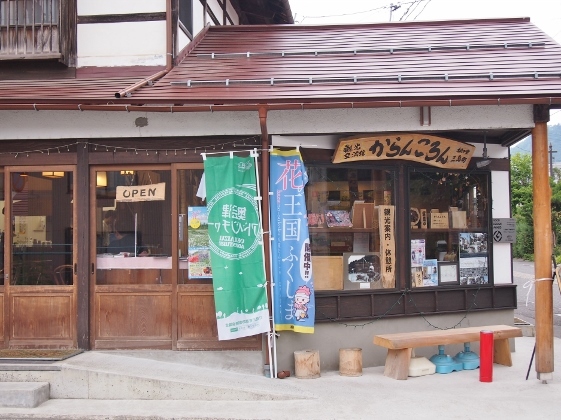 I found a nice tourist center with nice cafe near the station as shown in the picture above. 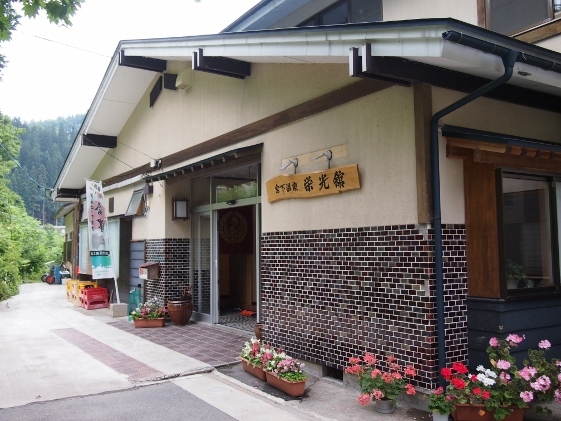 Tonight I stayed at Eikokan Inn of Miyashita Onsen as shown in the pictures above. 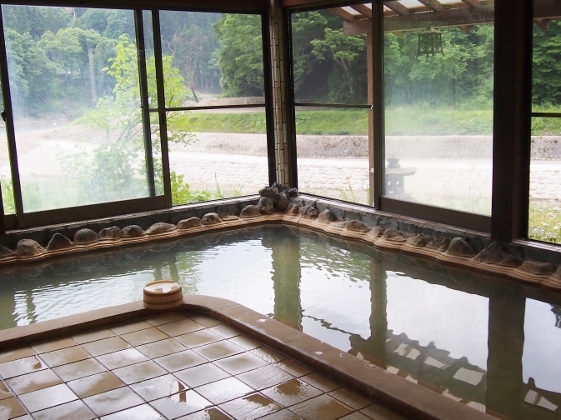 I could see Tadami River from the bath with very nice overflowing natural hot spring. I can recommend here. Tomorrow I will pack my bike and return home from Aizumiyashita Station by JR Tadami Line thus this is the last report of June. 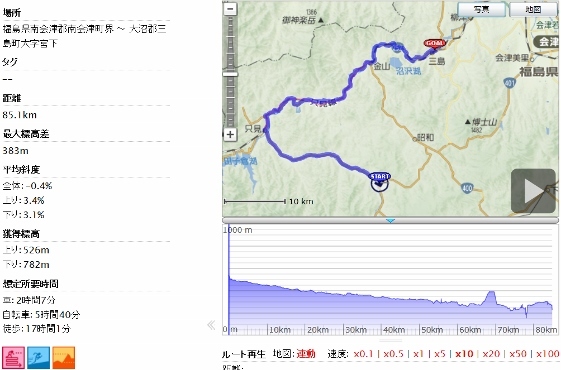 Next I am planning a bike tour of Bandai-Azuma Skyline Road in July.